Gear-up your website for top rankings on foreign search engines like Baidu, Yandex and many more. Multilingual SEO is the crux of all eMarketing expansions looking to root into the world audience. Extreme-SEO specializes in establishing websites on foreign search engines by invoking optimized multilingual pages in 30+ languages. This scientific approach allows you to reap the benefits of market divergence and helps you in establishing a ‘Brand’ for the world, leading to much higher conversion rates. What services do we offer under this seo-sphere? Reactionary SEO Analysis: We put the website of our clients under the SEO microscope and provide in-depth analysis of their current optimization flaws and areas which need perfection. Semantic Keyword Study: Keyword is to SEO, just like Oxygen is to Life. A SEO strategy is meaningless without a thorough research of isolated keywords that best reach your target audience. Writing and Translations: Native writers from every region and part of the world will fabricate your copy. We believe that none other than a local speaker can tap into the hearts of your audience. Outright Site Management: With the rapidly changing Internet-scape, we keep a comprehensive watch on your website and monitor the activities of your competitors to give you an edge. If you are only concentrating on English, then you are missing out on 73% of the Global Audience and untapped market, which is ready to be exploited. Make the move before your competitors and gain immense leverage for your online dynasty. Your target audience will develop a trust for your brand if your website reflects their culture. 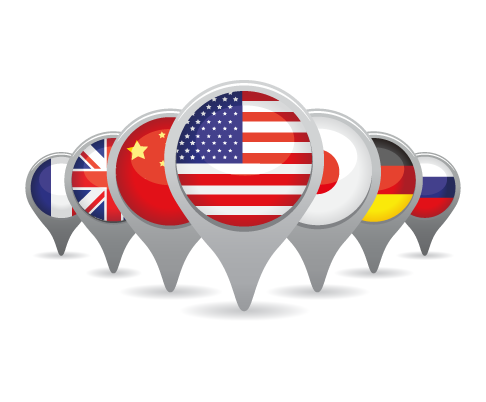 Tap into each international buyers who is looking for your products / services in different search engines. Regardless of your geographic location, you can localize your content and be found by target customers from remote regions of the world. It is important to understand that language is a local entity while search is personal requirement. What a user may describe in one word in France maybe described in two or more words in America. It is crucial to reach the core of trust in your audience and that can be achieved by a native speaker. Even though the idea of expanding to global markets does seem lucrative, it is vital to draw the line between two different market segments. A marketing tactic that might work for you in Asia, may not be fruitful in Europe. Marketing expansions come at the cost of varied languages, varied expenses and other cultural barriers and all these combined, can appear to be complex and mystic. A challenge feared by most eMarketers. What is the point of having a Chinese version of your website if it cannot be found on Baidu? Even an expert translator, irrespective of his prowess in the language may fail to optimize a multilingual page just by merely transcribing your current Meta tags and keywords. According to our recent statistics, we calculated that nearly 94% websites on the Internet which feature translated versions of their page bear close to negligible resemblance to their local Search Engine guidelines. Merely translating keywords and promoting them in foreign search engines is a wrong approach to Multilingual SEO, being followed by many companies. It should be understood that every language has its own ranking algorithm, and every search engine has its own guidelines. The Chinese alphabet has 34 characters while the English alphabet has only 26 characters. This is the reason why we hire only native search engine experts to do the job they are best at. Extreme SEO has skilled native staff for every language (except Russian) whose job is to stay updated with the latest local technological improvements and search engine guideline adaptations. Get all your Multilingual Webpage problems sorted. Talk to our Experts.